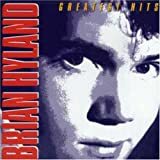 These are lyrics by Brian Hyland that we think are kind of funny. Brian Hyland's, "Itsy Bitsy Teenie Weenie Yellow Polka Dot Bikini"
Guess she froze to death? Didn't she try on that bikini before she bought it (or at least before she left her house)? Maybe then it wouldn't be bothering her so.